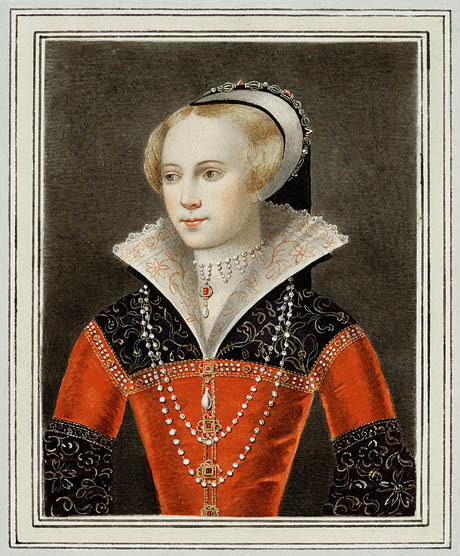 Narrowing in on the subjects of Tudors and trials of my last post, I am presently working on a scholarly paper about the famous/infamous Jane Shore (née Elizabeth Lambert), a favorite mistress of King Edward IV (r. 1461-83), who, after his death, was accused of conspiratorial witchcraft in collusion with Edward’s Queen, Elizabeth Woodville, and the powerful courtier Lord William Hastings by King Richard III. 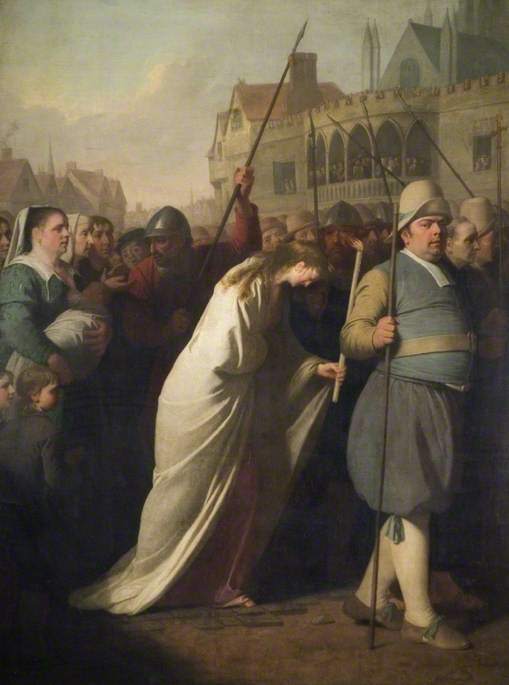 Hastings lost his head, the Queen emerged unscathed under the protection of the ascendant Tudors, and Jane was compelled to undertake a barely-clothed (“save her kyrtle”) public walk of penance through the streets of London for harlotry–not witchcraft. Perhaps you can perceive my challenge: Jane Shore’s life reads like a novel or a play, and consequently she has received far more attention from novelists and playwrights than historians. 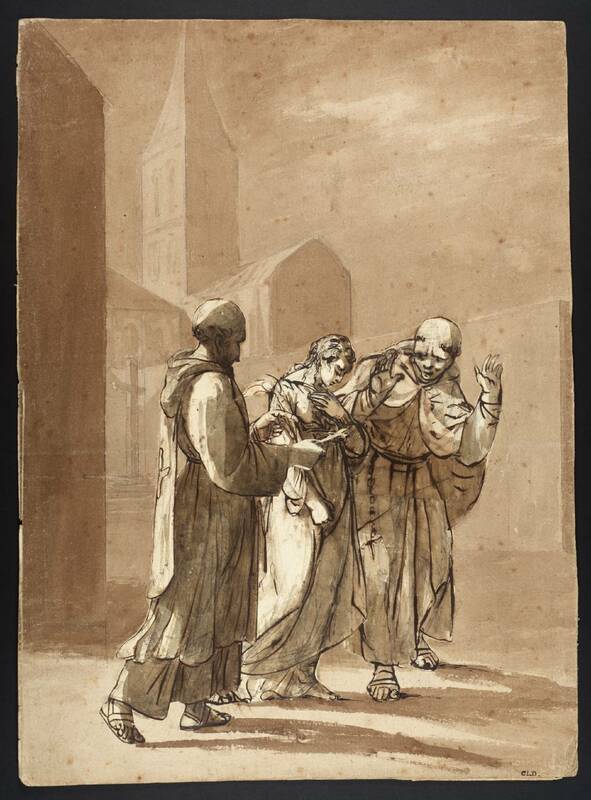 Jane’s walk of shame, in particular, has been the focus of dramatic and visual representations from at least the eighteenth century onwards. Penitential Jane: Edward Penny, Jane Shore Led in Penance to Saint Paul‘s, c. 1775-76, Birmingham Museums Trust; British School, Edward Scriven stipple engraving after Walter Stephens Lethbridge, published by Baldwin, Cradock & Joy, 1821, National Portrait Gallery London; Jane Shore Doing Penance on the Streets of London between Two Monks, 19th century, Tate Museum; Victorian penny novel and the first (of many to come) cover of Jean Plaidy’s The King’s Mistress/Goldsmith’s Wife, 1952. You can see where this is going…the Jean Plaidy cover is quite something! 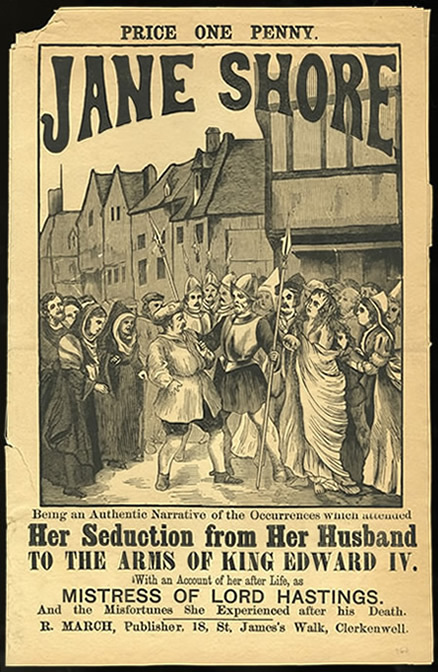 After Nicholas Rowe’s “she-tragedy” The Tragedy of Jane Shore appeared in 1714 Jane was resurrected as a dramatic character, but she had played that role before. As a new dynasty, the Tudors had a vested interest in emphasizing the tyranny of Richard’s brief reign, thereby rationalizing and legitimizing their own. Consequently Richard’s victims, whether the completely innocent “princes in the tower” or the not-so-innocent Jane, were presented as overwhelmingly sympathetic figures. In his History of King Richard III, even the priggish Thomas More (who was acquainted with Jane in her old age–yes, she survived the walk of shame) characterizes her as soft, pleasant, witty, merry, and above all, tender-hearted, using her power over Edward to help others rather than herself: she never abused to any man’s hurt, but to many a man’s comfort and relief; where the king took displeasure, she would mitigate and appease his mind; where men were out of favor, she would bring them in his grace; for many that highly offended, she obtained pardon. More’s characterization proved consequential, and she persists (always as “Shore’s wife” even though her marriage to goldsmith William Shore was annulled in 1476 on the grounds of his impotence!) as the subject of ballads, plays and poems in the sixteenth century and after, by more Thomases (Churchyard, Deloney, Heywood) and their peers. Even Shakespeare references “Mistress Shore” in his Richard III, though he does not put her on the stage. The visual depictions of Jane continue as well, and my favorites are portraits rather than those of her penitential walk. 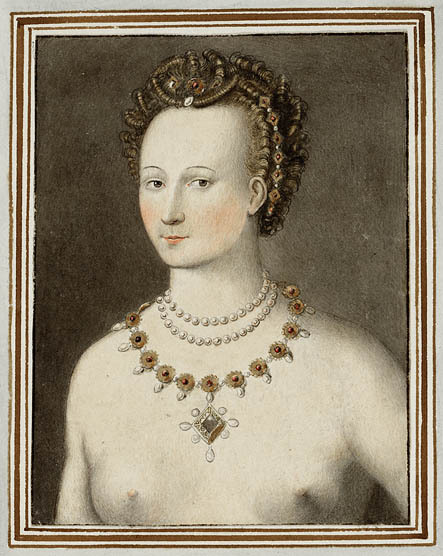 For his Shakespeare illustrated by an Assemblage of Portraits and Views appropriated to the whole suite of our Author’s Historical Dramas (1789-93), the artist and publisher Sylvester Harding produced two contrasting portraits of Jane–as harlot and lady–clearly taking his inspiration for the former from the earlier portraits of another conspicuous courtesan: Diane de Poitiers, mistress of the French king Henri II. A morphing of mistresses! Sylvester Harding, Portraits of Jane Shore, after 1790, Folger Shakespeare Library. This entry was posted on Thursday, January 23rd, 2014 at 7:26 am	and tagged with Art, books, England, Renaissance, Shakespeare, Tudors, Witchcraft and posted in Culture, History. You can follow any responses to this entry through the RSS 2.0 feed. I’m reminded a bit of the difficulties Alison Weir confronted in writing her biography of another mistress, Katherine Swynford: how do you write about a woman whose life is primarily known through her interaction with important men? That’s the big question, Brian! Interesting story. I’ve been reading a bit about Richard III’s ascension recently, but hadn’t encountered Jane’s story. So this serves as a fascinating accompaniment. She’s definitely a footnote; my particular focus is on the witchcraft accusation. But it doesn’t go far. Do I detect a hint of disapproval in your characterization of the ‘priggish’ Thomas More? Other historians seem more sympathetic:) Otherwise fascinating Donna. I am afraid you do, Peter; of course he’s a holier than thou saint, but I’ve had a Protestant bias against him since I was very young–can’t keep it down! Fascinating, Donna, and what a coincidence!